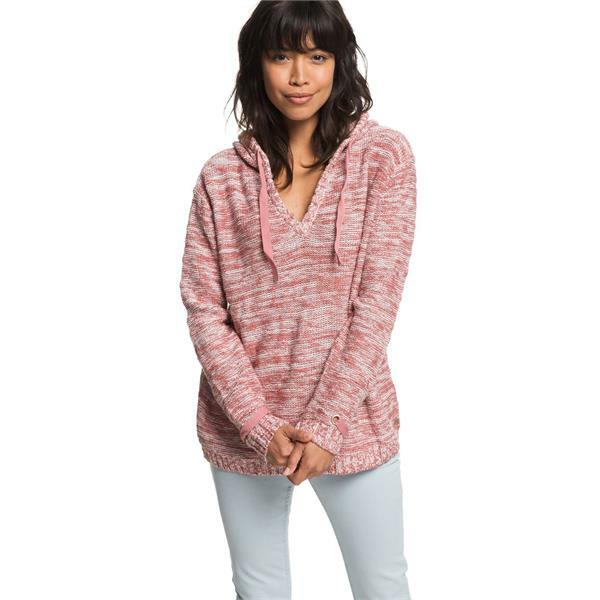 A comfortable option for casual cool-weather wearing or perfect as a swimsuit cover-up on the beach, this women's Roxy Military Tones sweater is a versatile piece that deserves a spot in your wardrobe. 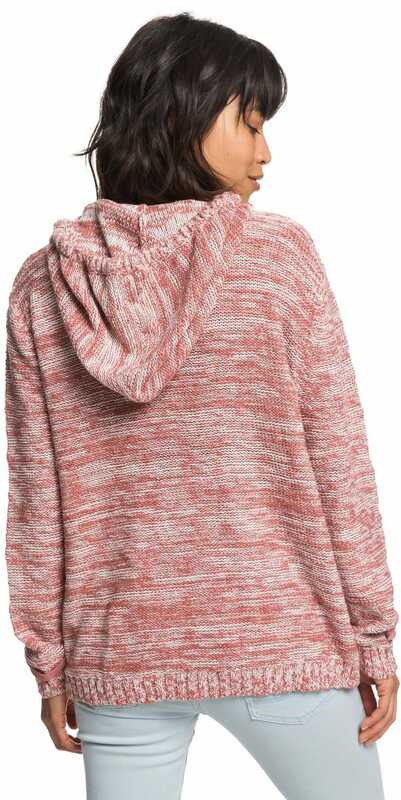 Made with 100% cotton, this comfy knitted Roxy sweater features a classic V-neck design along with a hood and herringbone drawcords. The cuffs also feature herringbone cords and metal eyelet details for an added touch.